Companies who know how Twitter Ads works are having very significant returns on their investment. With this guide we will show you how to achieve the same results, thanks to Artificial Intelligence, and the true success stories of well-known brands such as Iberia, Subasta de Ocio and GlovoApp. Don’t miss out on this opportunity and read the Twitter Ads eBook for free right now! 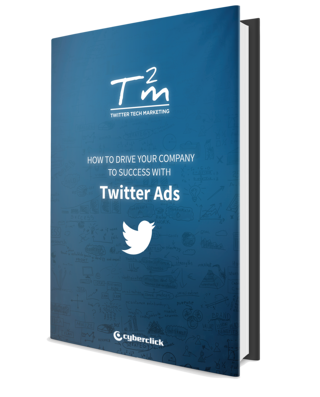 Download now the Twitter Ads ebook!